We are going to take several episodes to take a deep dive in the exhortation. It’s an impressive study on what the call to holiness means for each of us today. This episode focuses on the first chapter of the exhortation. You can find the exhortation here. 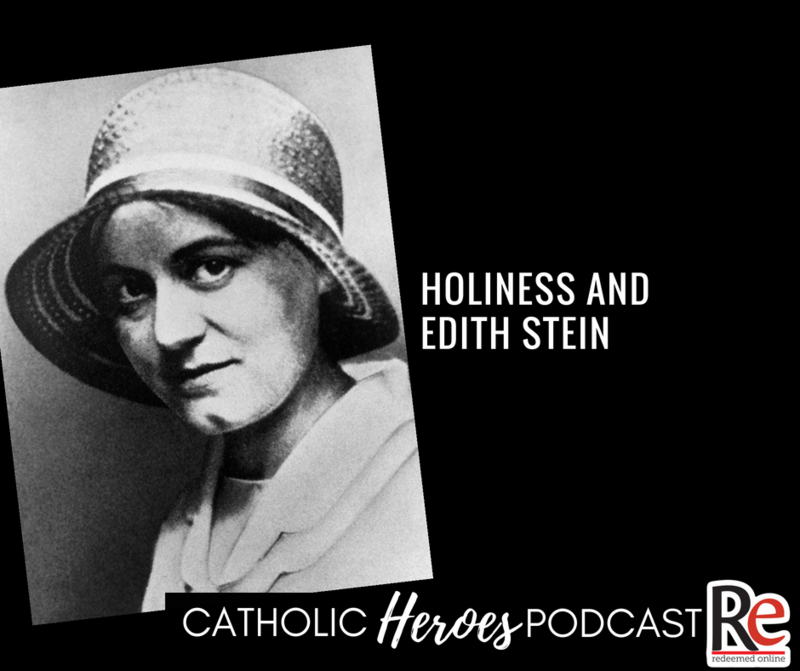 “We bow down before the testimony of the life and death of Edith Stein, an outstanding daughter of Israel and at the same time a daughter of the Carmelite Order, Sister Teresa Benedicta of the Cross, a personality who united within her rich life a dramatic synthesis of our century. It was the synthesis of a history full of deep wounds that are still hurting … and also the synthesis of the full truth about man. All this came together in a single heart that remained restless and unfulfilled until it finally found rest in God.” Pope John Paul II at St. Teresa Benedicta of the Cross’s beatification in Cologne on 1 May 1987. I would love to know what you think of this episode. Share a comment on our website or shoot us me an email at andy@redeemedonline.com. “What are you doing? Are you wasting your life?” As I was getting ready to finish college, I hit a crisis point in my life where I had to decide whether I needed to make more money in life or I should follow the call I thought God had given me to do ministry. 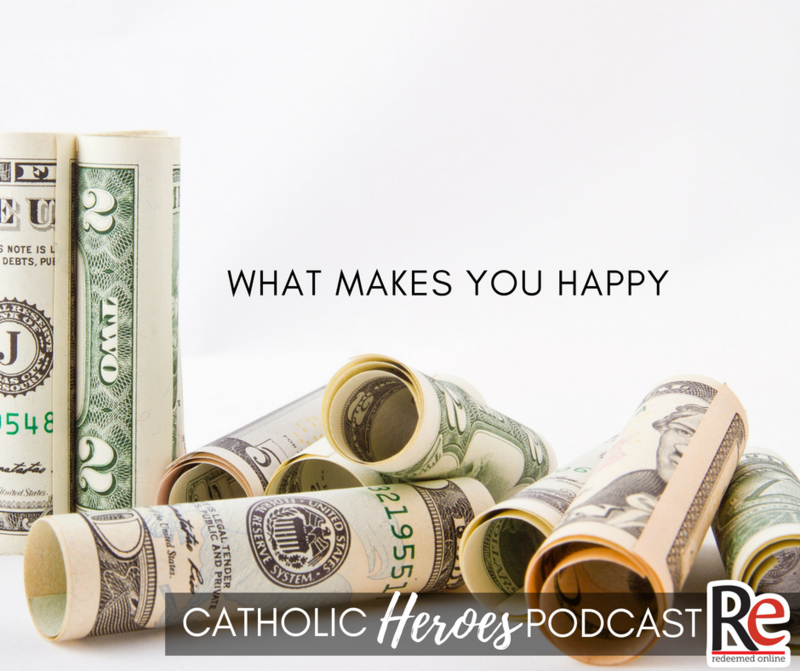 In this week’s Catholic Heroes Podcast I share my story and how I ended up in full-time ministry. My hope is that this episode encourages and inspires you to see God in whatever work he calls you to. The featured saint in this episode is St. Matthias. 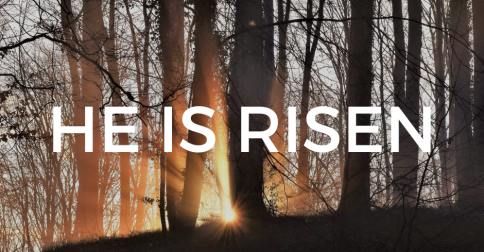 Easter is the story of new life and transformation. Jesus is the not the only character in the story of Easter. Peter reminds us that each of us of is a character in the story of salvation history. We are invited to experience that transformation in our life as well. 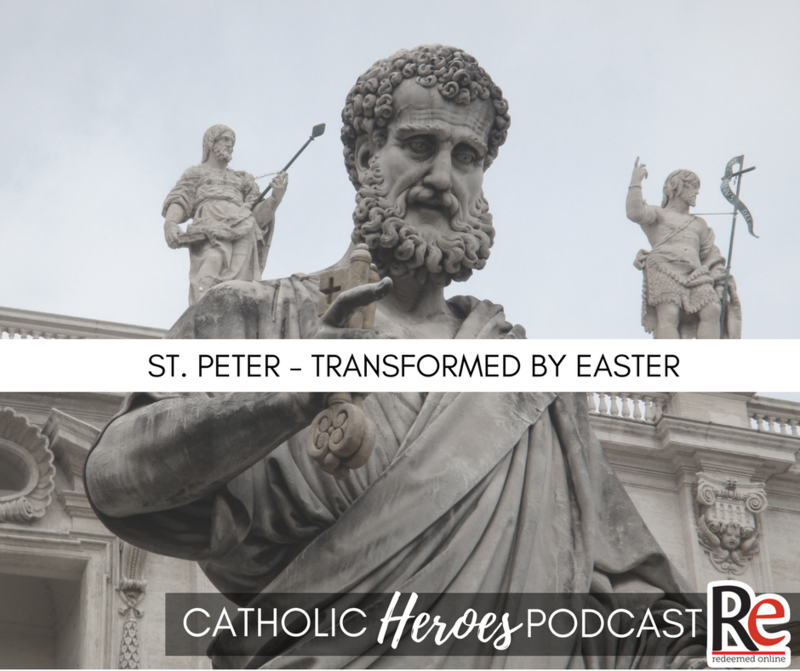 In this episode, we look at Peter’s Easter transformation and see a beautiful example of how we can be saints. Prayer is like sleep. What? We need it to live and it should be a natural part of our lives. 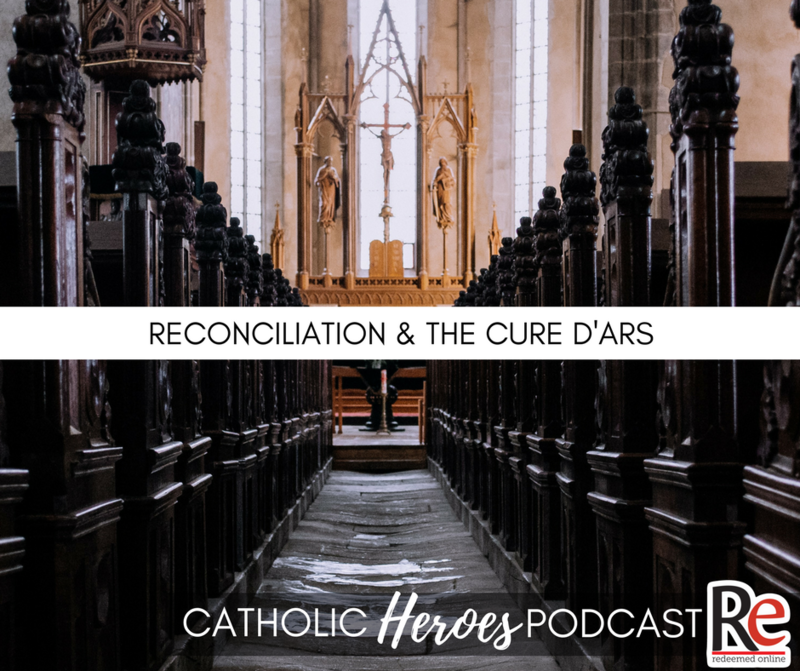 This episode takes a look at prayer and the humility of God. 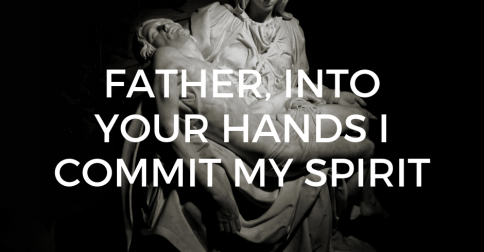 He is not only present in the Eucharist and in our church, but he meets us in our heart. 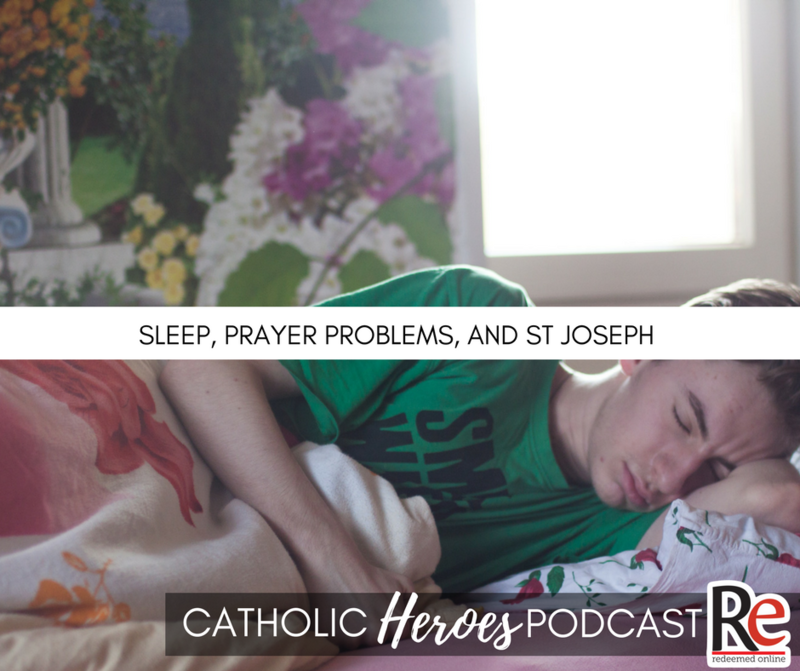 St. Joseph is our featured saint this episode. His life encourages us to reclaim a theology of work. Work is redemptive. He also reminds us to listen to God.